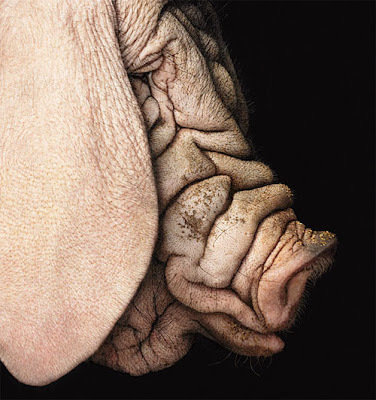 It's like a horrible genetic mash-up of pig, Shar-Pei, and a Mystic from the Dark Crystal! Wise and very cute!!! I think she looks magnificent.